Do you always find out that it’s National Nachos Day too late to do something special in your restaurant? Are you a foodstagrammer who misses out on all the likes when it’s National Strawberry Rhubarb Pie Day because you don’t have a photo ready to jump on that hashtag? Is it National Hamburger Day, National Cheeseburger Day or National Burger Day, and what is the correct hashtag anyway? Did you find out about Extraterrestrial Abduction Day after it’s too late? OH NO. Wouldn’t it just be easy if you already knew or better yet, someone could just remind you well enough in advance? You could check sites like Days of the Year, the nibble or Foodimentary. Maybe it wold be easier to just follow @national_day_of, @itsreallyaday on Instagram, or its sister account, @itsreallyamonth and get updates as they post them. But that algorithm? Who has the time to figure it out? Download my totally free, easy-to-use Ultimate Food Holidays Foodie Spreadsheet! It has every day, month and food week that exists (or at least, that I was able to find). It also has the corresponding hashtag listed. Or, you can just come back to this link as it is a live document and I will update it from time to time when I discover there is a new food holiday! I also created just for you, this handy-dandy, totally free, easy-to-use, Ultimate Food Holidays Foodie Calendar. You can add it to your calendar. You can also scroll through or search it and add just those food holidays that you care about to your calendar! Once you’ve added the whole calendar or just certain holidays to yours, you can go in and set reminders that suit your needs. Large corporate chain restaurant that takes 9 months to plan an LTO for National Cheese Fondue Day? Search for your date and add a reminder that gives you more than enough time to plan. Celebrating #NationalCheeseFondueDay with some homemade Beer Cheese Fondue served with Homemade Potato Chips, Mini Soft Pretzels, Pigs in a Blanket, and Bacon Wrapped Chicken Bites. ?? (Recipe link in profile) #FoodPorn #cheezus #CheesePorn #BeerCheeseFondue #CheeseFondue #BeerCheese #BellyBoner #HomemadePotatoChips #huffposttaste #yahoofood #foodbeast #eeeeeats #cookingwithjanica #? One location, mom-and-pop neighborhood doughnut shop? Just add the calendar item for National Strawberry Day, happening on February 27th to your calendar and set the reminder to 4 weeks ahead so you remember to order strawberries for that special French toast strawberry cream doughnut you’ve been working on. Food blogger with tens of hundreds of thousands of followers that people look to for inspiration on where to dine in their town? November 12 is National National Pizza With Everything Day (Except Anchovies). Set one reminder for 2 weeks in advance so you can go eat a loaded pie somewhere and take a photo. Then set another reminder for the morning up so you can post of an amazing boomerang video of you doing a cheese pull right out of the bowl before anyone else does. If you follow me on Instagram, you know I post succulent and delicious photos of food today that no doubt set the calorie scales rocketing into the outer atmosphere. I mostly stick to Burgers, pizza and French Fries since not only do I love those foods but they get the most likes. That leads to more followers which I can then leverage to click the link on my bio and send them to this website. Had this amazing pulled pork, bacon and pickled onion sandwich @sam_am_cafe in Jersey City. If the great coffee and outstanding customer service alone was not enough reason for me to recommend this place, this sandwich definitely is worth your time. It’s also kid friendly and speaking of kid friendly … click the link in my bio to learn how your restaurant can become more appealing to customers with kids for less than $300. ?LINK IN BIO? ??? From time to time I’ll theme my posts around certain food holidays. What is a food holiday ask? It’s a day or time of year dedicated to a particular food item. As an example, November 6th is National Nacho Day. Knowing that in advance, I would prepare by ordering a heaping plate of cheese drip covered nachos with all the fixins. On the morning of, I would share it on Instagram using “#NationalNachosDay” in the text of the message. Don’t let your food marketing skills slip, use my special Ultimate Food Holidays Foodie Spreadsheet and Ultimate Food Holidays Foodie Calendar now! It’s free and easy to use. 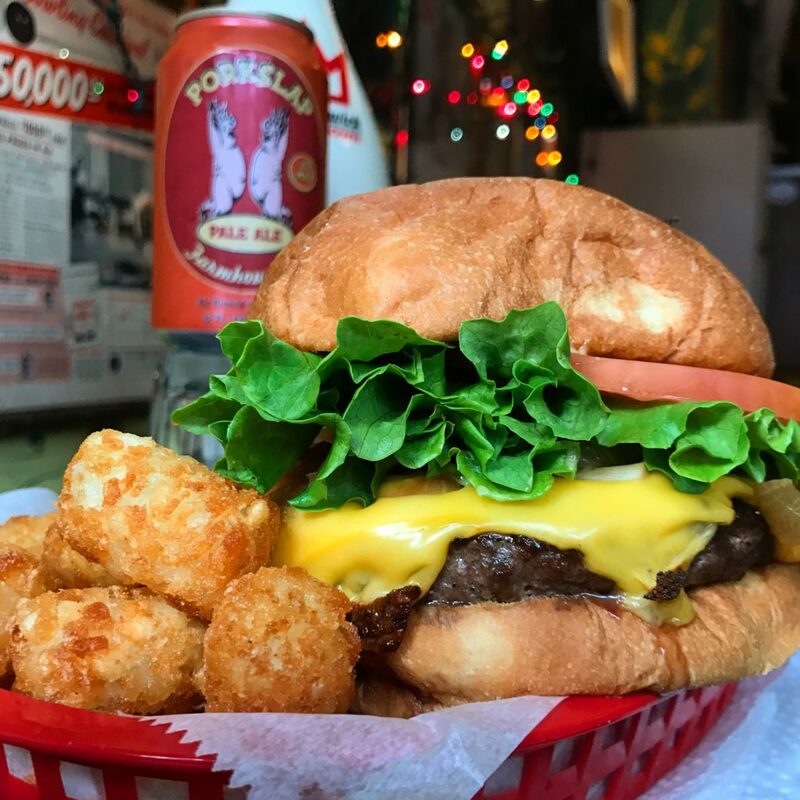 This entry was posted in Burgers and tagged food calendar, food days, food holidays, food months, foodie, foodie calendar, national day of, national food holidays, national food months, trailer park lounge, Ultimate Food Holidays Foodie Calendar. Bookmark the permalink.